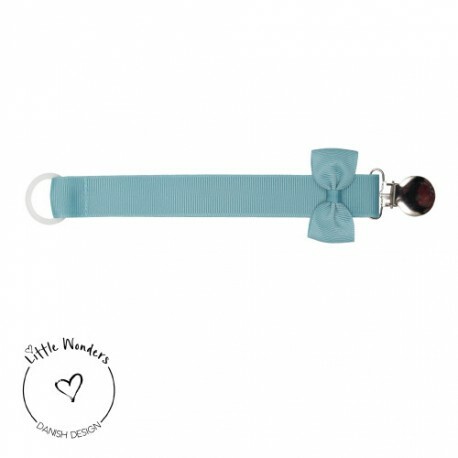 The dummy chain from Little Wonders is made in a nice handmade design, and helps you make sure that the dummy doesn’t get lost. Dummy chain in a lovely green, comes with a matching bow tie from Little Wonders. The dummy chain will help you keep track on the dummies in a good and hygienic way. The dummy chain will be placed on the clothes with a silver metal clips.